New Ahim’SA Yoga T-shirts have just arrived! They are available in ladies and men’s cuts and are excellent quality. The style is particularly practical for Yoga, with a v-neck and longer front and back. 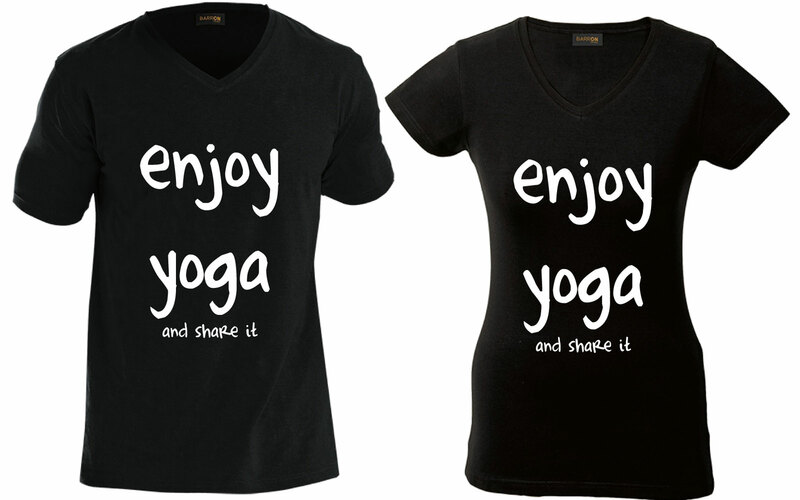 The words “enjoy yoga and share it” appear on the front with the colourful Ahim’SA logo and wesbite url on the back. All proceeds from t-shirt sales will go to the organisation, so it is a great cause. Price: R250 per t-shirt (excluding postage and packaging). Collection is available from Hout Bay.